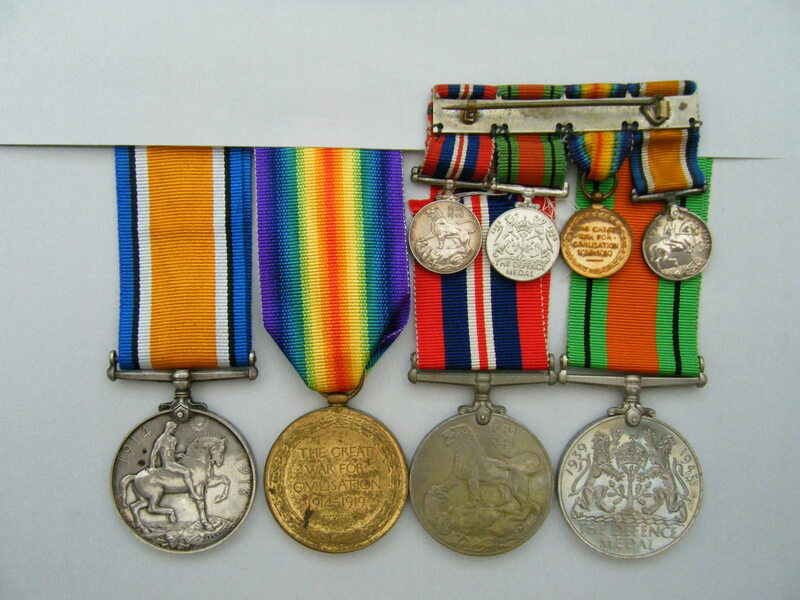 A WW1/2 medal group (and matching miniatures) awarded to Thomas Robinson Hughes R.A.F. Hughes from Darlington County Durham, was born in 1899 and joined the RAF in May 1919 (aged 20) and served in the RAF until June 1923 (possibly in Russia given his enlistment date and the fact he was issued with the medals), after which he was transferred to the reserve in June 1923. According to his RAF Form 434 he was discharged from the RAF Reserve in 1931 at the age of 32. This would make him 40 in 1939, and assume he undertook home service in the forces at the start of WW2 which resulted in the issue of the WW2 British War Medal and Defence Medal. 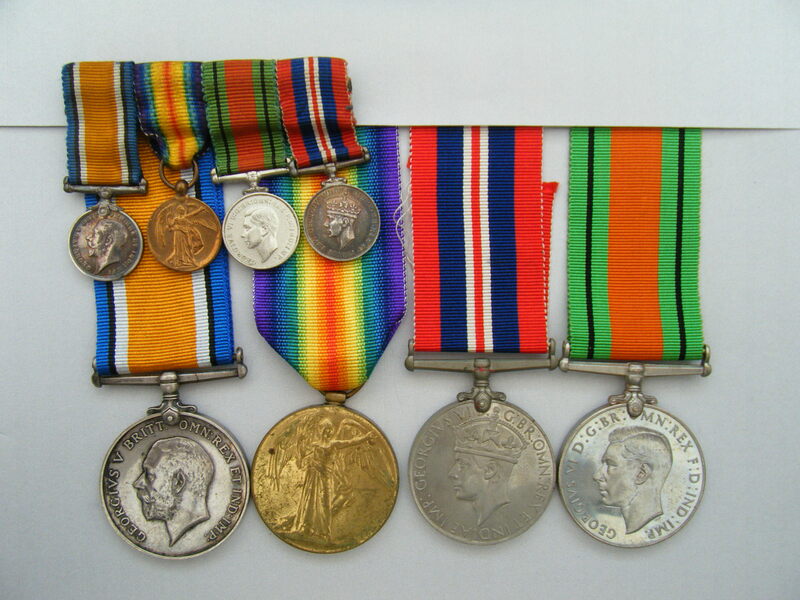 WW1 British War Medal and Victory Medal named to 331383 PTE. 2. T. HUGHES, R.A.F. WW2 British War Medal and Defence Medal un-named as issued. Included with this listing is a printed copy of his RAF 434 form which can also be viewed by clicking on here if you have a subscription to ‘find my past’. PRICE £95 - please read the terms and conditions below. Pair To 2nd Lieutenant W.